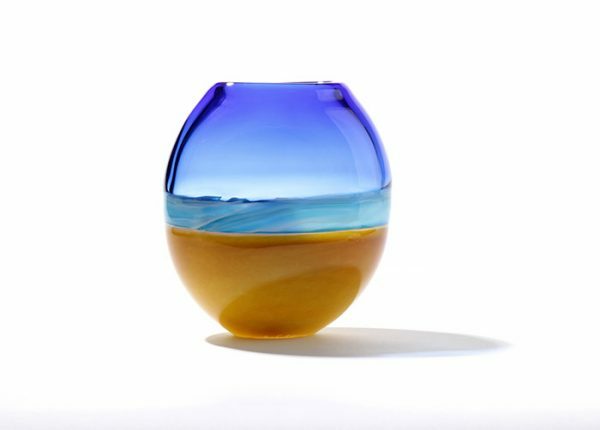 The theme of the coast and ocean is apparent in the ever so popular Beach Vase. This complicated vase is made in many parts and assembled when hot. The bold transparency of the blue sky meets the dusty beach yellow in a mix of swirling color that represents the breaking waves as they reach the shore.